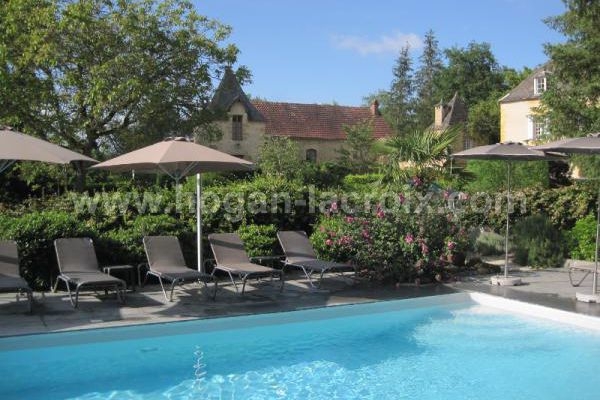 IN A VERY QUIET LOCATION BUT VERY CLOSE TO SARLAT & DORDOGNE RIVER, MAGNIFICIENT OLD STONE ENSEMBLE WITH HIGH QUALITY FEATURES, COMPOSED OF A \"MAISON DE MAITRE\", 4 GITES, 2 INDEPENDENT BEDROOMS, HEATED SWIMMING POOL & MORE THAN 3.5 ACRES OF LAND !! 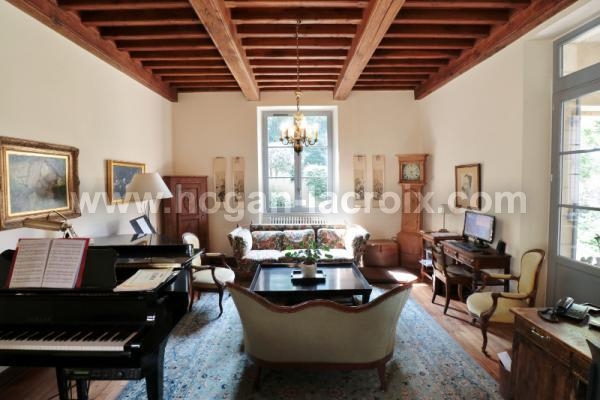 Shaded terrace, hall 10m² with corridor 5.8m² (with cupboard - stove & laundry room 1.2m²), double living room 46m² with fireplace and stove, dining room 25.5m², kitchen 18.3m², wc, masterbedroom 18.3m² with shower room/wc 6.3m². First floor : bathroom/wc 3.5m², 2 bedrooms (18m² with cupboard, 16.5m² with access to a convertible attic 37.7m²). Garden level : garage 25m² - Cellar 17m². APPARTMENT, in garden level of the main house : kitchen/living room 30m², bedroom 17m² with cupboards and shower room/wc 3.5m². 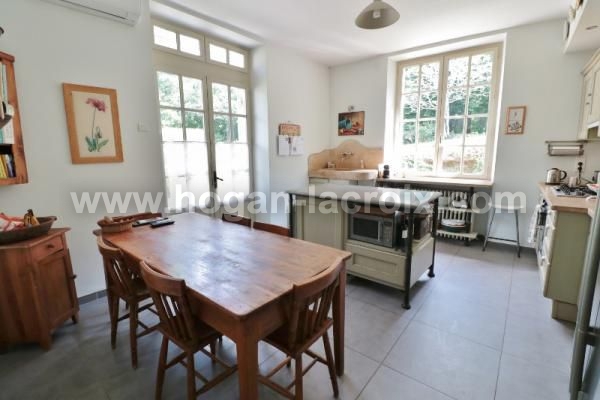 GITE 1 : kitchen/living room 28.5m², 2 bedrooms (13m², 11m²), shower room/wc 3.3m². 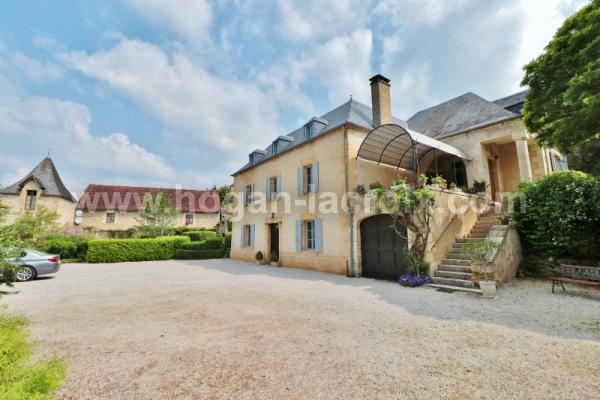 GITE 2 : kitchen/living room 32.5m², 2 bedrooms (12m², 14m²), shower room/wc 4.8m². 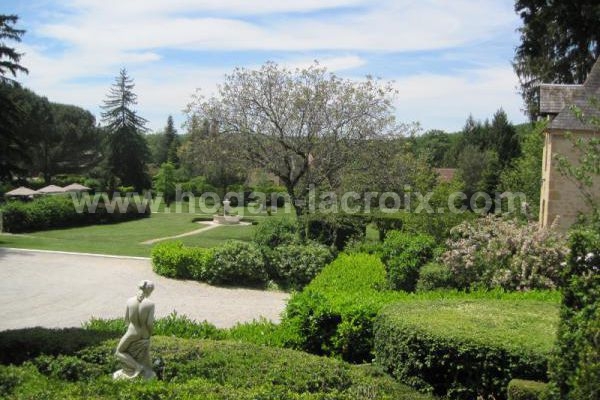 GITE 3 : kitchen/living room 38m², 2 bedroom (10.5m², 12m²), shower room/wc 4.3m². B&B 1 : 12m² + shower room/wc 3.5m². B&B 2 : hall 6m², shower room/wc 3.5m², bedroom on first floor 11m². 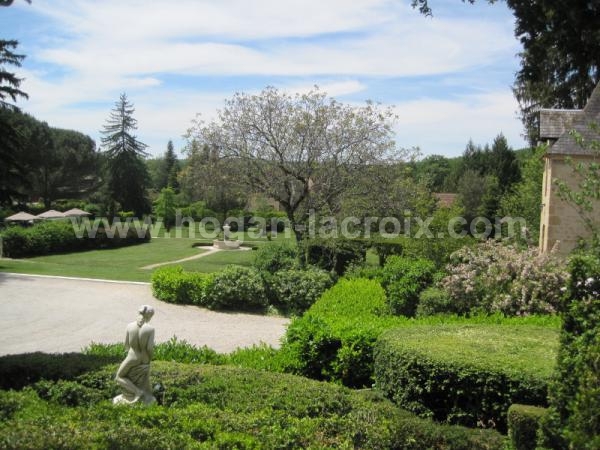 Lovely park with fountain 3.71 acres - Heated swimming pool 10x5 with cover - old pigeonnier with barbecue 7m² + covered terrace 20m² - private access for each gite & house - vegetable plot. Double glazing - Heating: oil and geothermal in the main house and electric in gites - Air conditionning in house and gites - Main sewer - Underground watering + watertank 15.000L from gutters - very beautiful area close to Sarlat (5km) - quiet and peaceful environment - very beautiful restoration - good immediate income !! AVAILABLE ADDITIONAL PHOTOS ON REQUEST.